What is Shriram Equity and Debt Opportunities Fund? An open end equity oriented asset allocation fund. The scheme automatically spreads your money across a diversified portfolio of stocks and bonds to provide investor the best of both worlds. The investment objective of the Scheme would be to generate long term Capital appreciation and current income with reduced volatility by investing in a judicious mix of a diversified portfolio of equity and equity related investments, debt and money market instruments. The scheme is suitable for investors with an objective to build long term wealth with a time horizon of 3 to 5 years. The scheme shall invest a minimum of 65% and a maximum of 85% in equity and equity related instruments. The balance would stay put in debt securities including money market instruments between 35% to 15%. The Fund follows a robust investment process that encapsulates profitability, business attractiveness, competitive positioning, balance sheet strength, management track record, corporate governance, valuations etc. The investment style is a combination of top down and bottom up approach. For instance, we use the top down approach to focus on a particular industry which we believe is likely to outperform. Once we decide on a sector, we use the bottom up approach to decide the company that is likely to give better value for money. Ms. Gargi Bhattacharyya Banerjee serves as the Fund Manager of Shriram Mutual Fund having an experience of over 16 years in her professional career. She received her Master of Business Management with specialization in Finance and Bachelor of Science with Economics (H) from University of Calcutta. Minimum investment amount is Rs 5000.00 and therein multiples of Re.1. Under systematic investment plan, the minimum amount is Rs 1000. 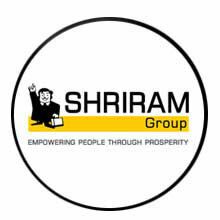 What is the tax treatment of investment of Shriram Equity and Debt Opportunities Fund? As per the current tax law (2015-16), Dividends are tax free in the hands of the investor. No Long term capital gains tax if units are held for a period more than one year from the date of investment/allotment of units. MUTUAL FUND INVESTMENTS ARE SUBJECT TO MARKET RISKS, READ ALL SCHEME RELATED DOCUMENTS CAREFULLY. With regard to taxation; Investors are advised to consult their tax consultants to know the consequences of tax, if any. Income Tax benefits to the mutual fund & to the unit-holder are in accordance with prevailing tax law. The investor shall be solely responsible for any action taken based on this document. Shriram Mutual Fund, Shriram Asset Management Co.Ltd., Shriram Mutual Fund Trustee Ltd., and it's associates shall not be liable in any manner for the consequences of such action taken by the investor. Risk Factors: All Investments in mutual funds and securities are subject to market risks and the NAV of the Scheme may go up or down depending upon the factors and forces affecting the securities market. There can be no assurance that Scheme's investment objective will be achieved. The past performance of the Mutual Fund is not indicative of the future performance of the Scheme. The scheme inception date was 29th November 2013.The Sponsor is not responsible or liable for any loss resulting out of the operation of the Scheme beyond the initial contribution of Rs.1 Lakh made towards setting up the Mutual Fund. Shriram Equity and Debt Opportunities Fund is only the name of the Scheme and does not in any manner indicate the quality of the Scheme or it's future prospects or returns. There is no guarantee or assurance as to any return on investment of the unit holders. The investments made by the Scheme are subject to external risks on transfer, pricing, trading volumes, settlement risks, etc. of securities. Please refer to the Offer Document/Statement of Additional Information/Key Information Memorandum of the scheme before investing.